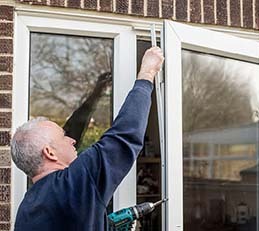 At Surelock Homes we supply all UPVC gearboxes and UPVC mechanisms, these mechanisms can fail due to them not being maintained properly or because the door has not been fitted correctly. This problem is easily sorted, even though these parts are a little expensive, they are probably not as expensive as you may think. Many national companies and some independent companies will charge you in the region of £400 to visit, order then replace, do not be fooled by this you should be charged roughly half of that figure in the worst case scenario, there are cheap mechanisms to be found as well as more expensive ones i.e. 4 roller standard around £50, a key operated mechanism (this is where you use the key to lock the door not lift the handle) can be as much as £120 there are over 450 different types on the market so prices do vary. In the years that we have been trading we have come across a lot of mechanisms that have failed, the costumer has called a glazing company and they have advised to change the door as the mechanism is discontinued. Please do not replace the door, this is not necessary and a very expensive alternative. We can find a replacement at a much lower cost to you, so please call us before you make this decision. We can also supply only, if you would like to fit them yourself. Please fill in the attached UPVC measuring form and we will then identify which mechanism you have and call you back with a price for supply only as well as a price for supply and fit. Sometimes the whole mechanism does not need replacing just the centre case. We can also supply any centre cases that can be removed, although in some mechanisms the centre case cannot be removed. This is because it?s pressed on (permanently) at the factory or they may have just been designed not to be removed. Changing the centre case is cheaper then changing the whole mechanism as centre cases range from £20 to the most expensive £90. 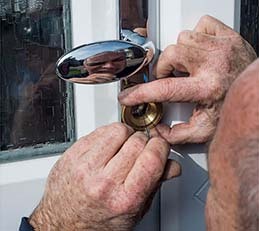 If you require expert lock repairs in Portsmouth or find yourself locked out, Surelock Homes locksmiths are experts in this field, so please feel free to call us for any advice that you need. 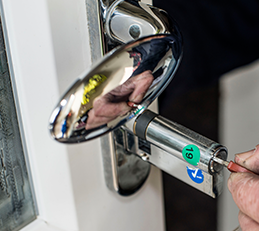 Our phone is always answered by a qualified locksmith.